For you to know whoms blog you are reading here, we shortly want to introduce ourselves: We are Felix, Ina and Tim. Okay, maybe that’s too short…. 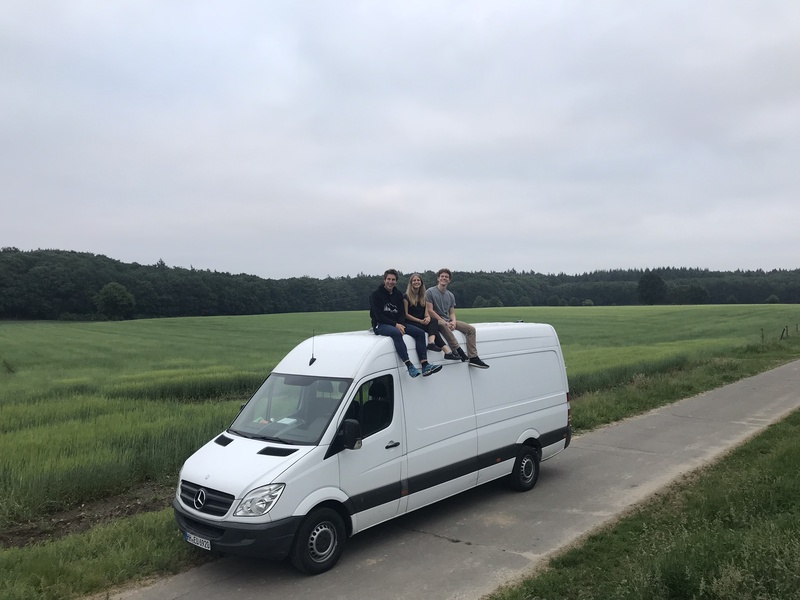 Let’s give you a first impression of who we are and how this whole thing started: When we found the idea of traveling Europe together in a van, we were sharing a flat in Hamburg. Living “normal” lives. Ina just moved to Hamburg for her master studies in Journalism, Tim finished his bachelor studies in Business Administration and afterwards started working in a big firm and Felix just finished his bachelor studies in Industrial Engineering. But there was the idea of getting out for a while and try something new – convert a van into a home on ourselves, get a closer impression of all European contries and the people living there and share their feelings with all of you, who can’t directly join us on our trip.